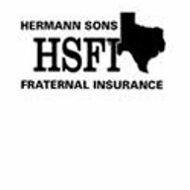 The insurance portion of the order is commonly known as Hermann Sons Fraternal Insurance. Compare insurance rates from active health insurance providers by entering your zip code into the toolbox now! The Sons of Hermann in the State of Texas Grand Lodge of the Order has been in existence since 1861. The lodge stipulated in 1875 that in order to participate in the lodge, you must purchase life insurance. This is how Hermann Sons Fraternal Insurance was created. You can contact a Sons of Hermann agent by choosing the subject matter, filling in your personal information, and clicking submit. An agent will meet with you in person to discuss your financial or insurance needs. There are currently over seventy Sons of Hermann insurance agents. You can reach one of these agents by calling them at (877) 437-6266 or (800) 234-4124. The careers with the Sons of Hermann are broken into divisions of the fraternal order. For instance, if you are interested in working at the Grand Lodge, you may submit your resume via the website. Choose the career field that interests you via the drop down menu, add your name, email address and click submit. Once this is complete, you can email your resume to [email protected]. If you wish to become a sales agent for Sons of Hermann, you should call the marketing department at (877) 437-6266 or email your resume at [email protected]. This is a part time position, which offers the same benefits as membership in the Sons of Hermann in addition to monetary compensation. The Sons of Hermann in the State of Texas Grand Lodge of the Order also believe in community involvement. Membership in the lodge provides the opportunity to become involved in multiple community events. The website provides a calendar with all the upcoming events. The fraternal order also maintains their own retirement home, which is open to Sons of Hermann members only. In order to become a member, you must meet with a Sons of Hermann insurance agent. Once you have met with an insurance agent, you are required to purchase life insurance. This is how you become a member of Sons of Hermann. If you wish to find out more about membership, it may be beneficial to attend a meeting at the lodge to see how you feel about joining the club. A list of lodges with the location and the time of the meeting are listed on the website. An online store is also available for its members to view Sons of Hermann merchandise. The store sells shirts, hats, jackets, and dominoes. The Sons of Hermann in the State of Texas Grand Lodge of the Order is a non-for profit organization, which is designed to provide for its members in times of financial need as it did when it was created over 100 years ago. Compare rates with active health insurance providers by entering your zip code into the toolbox now!